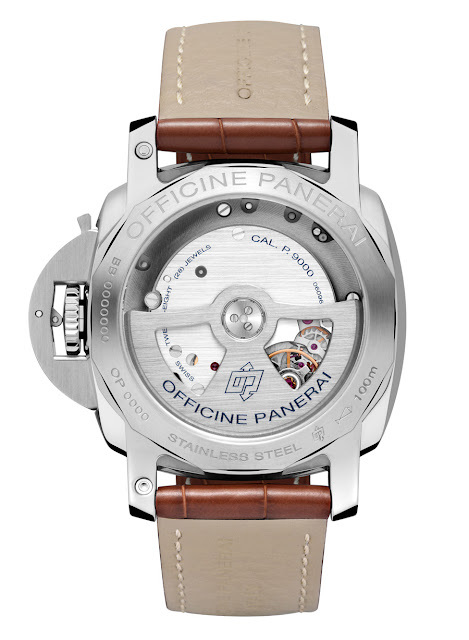 With the new Luminor Marina 1950 3 Days Automatic PAM00523, Officine Panerai combines the Luminor 1950 case with a white dial for the first time. The 42 mm case, made of AISI 316L stainless steel, houses the automatic P.9000 calibre with a power reserve of three days, completely developed and made in the Officine Panerai manufacture at Neuchâtel. The anti-shock, double-barrel movement is visible through the sapphire crystal back. Water resistant to a depth of 10 atmospheres, the case and the bezel have a polished finish, in contrast with the satin-brushed bridge which protects the crown. 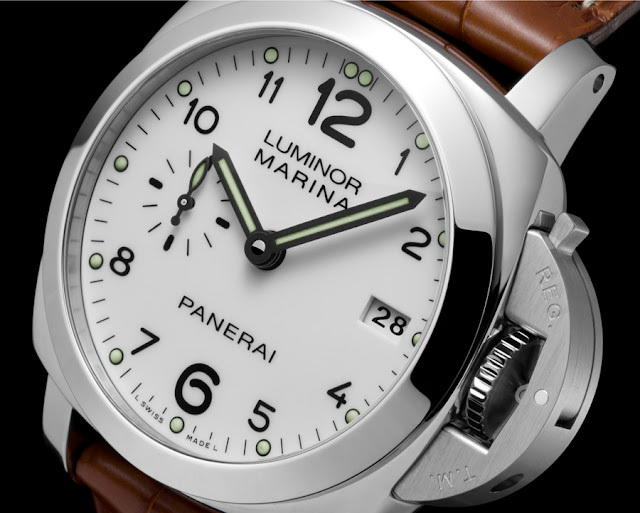 The white dial of the Luminor Marina 1950 3 Days Automatic provides excellent legibility, with large black figures corresponding to the hour markers, the date window at 3 o’clock and the small seconds dial at 9 o’clock, a characteristic of Panerai watches since the 1940s. The time can be adjusted very easily thanks to a special system by which the hour hand is moved in jumps of exactly one hour, without interfering with the running of the minute hand. The Luminor Marina 1950 3 Days Automatic PAM00523 comes with a brown alligator strap with a brushed steel buckle and it is supplied with the special tool for replacing the strap and a steel screwdriver. 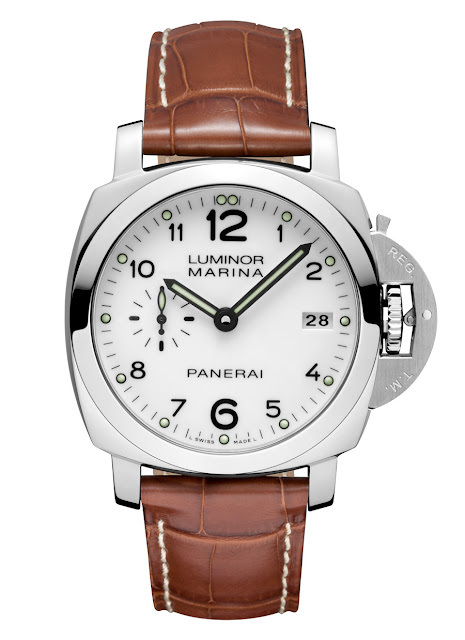 With the new Luminor Marina 1950 3 Days Automatic reference PAM00523, Officine Panerai combines the Luminor 1950 case with a white dial for the first time.